Another classic offering from the vast Sellier & Bellot product portfolio, this is the 7x64 Brenneke (also simply known as the 7x64 and the 7x64mm) load that is directly in the S&B sweet spot for production. It is a round that contemporaneously is used extensively in Europe and has a small but growing following in America. 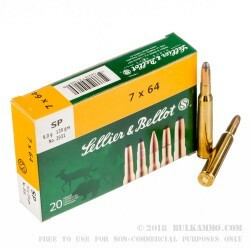 The round is suitable for small and intermediate game use with everything from fox and geese, to deer and chamois. 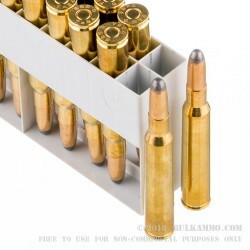 In America it would be used for intermediate animals probably to include small and medium hogs and deer – it is ballistically similar to the .280 Remington and would be used for much the same purposes as the popular .270 Winchester – it is important to note that none of those cartridges is the same – they are not interchangeable but simply used for comparative ballistic numbers. 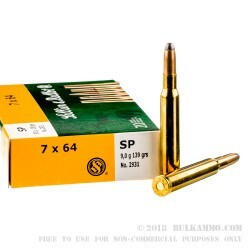 The cartridge has the flat trajectory and bullet size to bridge into the smaller side of the large game spectrum too. It is a perfect load for the mainstream product catalog for Sellier & Bellot. 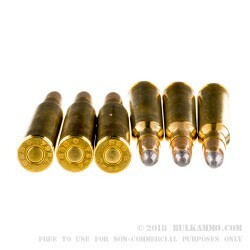 This ammo is loaded with a brass casing and is a Boxer primed reloadable round that features a 139 grain soft point and a velocity of 2808 feet per second with an energy delivery of 2431 ft. lbs. at the muzzle.